I don’t need to tell you that there are 2.46 billion social media users in 2017 because you probably already know that there is a crazy number of people using it. It means that with that much people, it is impossible to avoid myths to spread like wildfire and misconceptions to flourish. The last thing we want is faulty information to be spread and get taught to people because that means you’re not reaching your true potential, and even worse, people might decide to completely ignore social media because of things they’ve heard. And considering the results and statistics, social media is able to generate, we don’t want anyone to miss out. In this article, I’ll, therefore, present 9 Myths About social media marketing and bust every single one of them! Many marketers and brands see social meid as a completely different and independent marketing strategy, but that means having it all wrong. Social media is not an independent marketing strategy and should therefore not be treated like one. Instead, it should be seen as an important part, a cog, to your marketing strategy. A reason to this is that social media is still, to many people, something that’s relatively unknown and mysterious. In other words, it’s something that they still know very little of. And with that in mind, it’s easy to understand how this myth has gained traction. The biggest reason to why seeing social media as an independent strategy is extremely dangerous is because it depends on a number of other digital marketing strategies to be successful. Without a strong content strategy, you will have a hard time bringing value to your audience and attracting new followers. Think about it: without a powerful website, people will visit and bounce right off. In other words, in order to get the most out of social media, you need to see the larger picture of social media that is dependent on a number of things to generate great results. Seeing social media as an independent strategy is setting up yourself for failure and limiting yourself to getting the most out of social media. You need to make sure that the things around social media are fine-tuned and optimized in order for you to get the most out of it. For example, you cannot invest millions into billboards and lead people to your website when your website looks like crap and will scare away every single person who visits it. 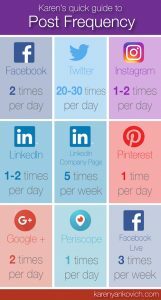 In theory, it might seem like you should be on every social network, but that isn’t the reality. 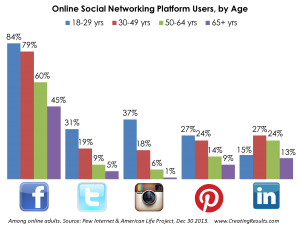 In theory, the more social media platforms you’re on, the more people you’ll reach, right? The only problem is that there is a huge catch. The catch is that just because you create an account on a platform and share some posts doesn’t mean you’ll generate any results. In fact, when you’re jumping on every social media platform you can, there’s a huge risk that you’re spreading yourself thin. After my years on social media, if there’s one thing I’ve seen a lot of times, it is brands who are trying to juggle a countless number of social media accounts at once, but the only outcome is that they’ll generate average results on all of them. Trust me, you’ll be far better off focusing on a few social platforms and investing all your time and effort into those rather than using all platforms you can find. Moreover, there’s another important reason to why you shouldn’t be on every single social network, and that reason is due to the simple fact that your audience isn’t to be found everywhere. When getting started with social media, most brands and marketers ask the question “which social platforms should we use?”, and the single most common answer to that question is: where your target audience is to be found. And to know where your target audience is to be found, just take a look at the user demographics of the platform you are about to use. Ask yourself: Is my target audience here? If so, then using that platform might be a good idea. If not, look at other platforms that will better match the people you are trying to reach. The example I use the most is Pinterest, but that is because it becomes so clear that demographics is what matters when looking at social platforms to use. 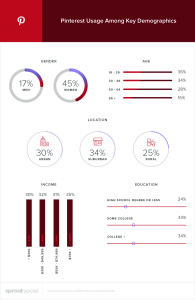 Pinterest’s user demographics are quite unique. When looking at the numbers based on gender, you can see that they are quite skewed. It means that if your target audience consists solely of men, you’re probably wasting your efforts if you’re using Pinterest simply because of the fact that the majority of users aren’t male. It is true that you should post often and regularly on social media to get the best results, but having to post 24/7 is a huge myth. Many marketers often struggle with posting several times a day and creating content to do so and get stressed to death when they can keep up. And that’s completely understandable! For social media users, and new users, in particular, social media can be extremely daunting when you hear that you need to be active and post on social media constantly. Luckily for you, it’s nothing more than a myth. In fact, the truth is that if you post too much on social media, you can end up hurting your page that way because you’re cluttering people’s feed. This is especially true if you’re posting content for the sake of posting and compromise the quality of your content as a result, and that it happens is not completely unusual. Moreover, spamming out too many posts in a short period of time can get yourself temporarily blocked or even banned, and if you post so much so you come to that point, I guarantee you that none of your followers will thank you for all your content you’ve provided them with. More like the opposite. Another common myth that is related to this matter is the myth that you need to be online 24/7, and this is actually one of few social media myths that you can actually see where it is coming from, and understand that people fall for. Social media is a place that never sleeps. It is constantly online – 24 hours a day, 7 days a week, 365 days a year. But just because social media doesn’t need sleep, doesn’t mean you don’t. Sure, the more you can be online, the better, but people understand you are human too, even if it can be hard to believe based on your superhero powers. Immediacy is vital on social, but in order to deal with these two matters, make it clear to people when you are active and online. 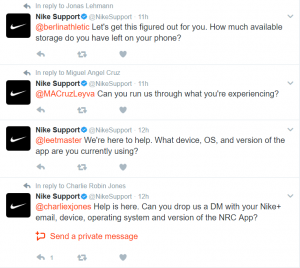 This will help you deal with your customers’ expectations as well as preventing people from getting disgruntled for not receiving a response after 15 minutes. This is one of the biggest social media myths you can come across. Social media is so much more than a sales tool, and it should absolutely not be used with the approach to driving more sales. Instead, you should use social media to work on the things that ultimately lead to sales: building relationships. If you think about it, social media is one of the most effective ways to build strong relationships with your audience. It allows you to engage and interact with them on a regular basis, and what happens when you build better relationships with them? They build trust in you. And what is the single most important thing to driving a sale? That people trust you! If people don’t trust you, they’ll never buy from you! When using social media, this is the approach you need to have. Don’t approach it with the idea that you want to purely drive more sales because if you do, you risk focusing on the selling part rather than the giving part. When using social media, you also need to provide value to your audience. In entrepreneur Gary Vaynerchuk’s book “jab,jab,jab, right hook”, he speaks about the importance of giving your audience value. Because when you’ve brought them value without asking them for anything in return time and time over, they’ll feel obligated to buy from you, and this mindset and rule is your ticket to selling. Now, just because I emphasize the importance of not purely seeing social media as a sales tool doesn’t mean that it isn’t, but what I am saying is that it can be dangerous if you only see it as that, because you risk shoving ads down your followers’ throats and making them run away from you, rather than focusing on methods that actually drive sales, and that gets them to become loyal supporters of your brand. And it’s logical, really if you think about it. When you log on to your personal social media, what do you want to see? Do you want to have ads shoved in your face and do you want to have salespeople who are trying to get ahold of your money? No? Then why would other people want that? Ultimately, this is the reason why I peach the importance of providing value because, in today’s social media landscape, it is the only method to actually get to your audience to listen to you. This might be true, but the good news is that most of the time, it is not. Today, there are almost people from all generations that are using social media, and this means that you as a brand can reach them. Sure, if you are targeting 80+-year-olds, there are probably more effective ways to reach them with social media, and as a result, your argument would be valid, but for most other people’ that’s a complete lie. 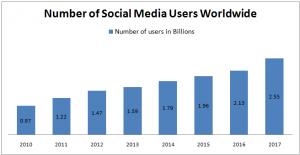 Do you remember that I told you that there are 2.46 billion social media users as of 2017? Well, who do you think those people are? That’s a large chunk of the world’s population, and this means that almost all businesses will be able to find their target audience on there. The bottom line is that the argument and myth that “my customers aren’t on social media” is invalid almost all times, except for a few exceptions. If you don’t think social media can’t drive sales, then think again. I’ve already spoken about how social media isn’t something that you should approach with the purpose of driving sales because if you do, you risk focusing on driving sales rather than investing your time and effort into the things that actually drive sales, which ultimately is building relationships with your audience. Companies that use Twitter average 2X more leads than those that don’t. 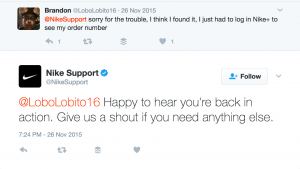 Still, believe that social media can’t drive sales? The reason why I emphasize not solely using social media for sales is that you might struggle with achieving the statistics I listed. However, it is when you focus on the things that generate sales that you’ll achieve the results listed above and beyond. This is a myth that lives on from social media’s younger days, so I understand where it is coming from. But just because social media was “something for the kids” many, many years ago, doesn’t mean it is today. 52% of 55-64-year-old internet users have joined a social network. 40% of Facebook’s active users are over age 35. This is one of the myths that I despise the most simply because of the fact that it makes marketers and brands focus on the wrong things. The truth is that follower count on social media means nothing unless your followers are relevant to your business and actually engaged. The truth is that you’ll be far better off with 1,000 highly engaged followers than 10,000 unengaged followers who don’t care one single bit about your business. Because what ultimately drives sales as a result of social media? Engaging your audience! And if your followers are unengaged, you’ll never be able to do that! The reason why that is the case is that when you have followers who are engaged in your business, you can connect and engage with your ideal clients and build strong relationships with them. When you do this, rather than focusing on followers, eventually your follower count will increase, but with the right type of followers that are actually valuable to your business. If this is your approach to social media, you’ll be extremely frustrated. Due to the simple fact that it isn’t true. Anything worth having doesn’t come easy, and social media is no exception. Sure, you can generate some results with social media quite a short time after you first hopped on the social media bandwagon, but the results worthwhile are only reached long-term. This does also mean that you need to be using social media for the long-term. I often come across businesses who jump on social media but not even a year into it quit because they don’t see the results they were hoping for. If you work actively and consistently and do it for a long period of time, as well as have a strong social media strategy, I promise you that social media will be worthwhile, but “it ain’t gonna come overnight!”. 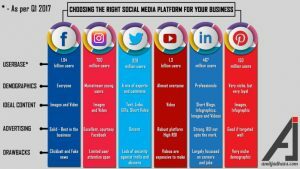 There are plenty of myths on social media that is circulating, but I feel like I have addressed the most common and urgent ones on this list. The worst part about the myths is that people fall for them, and when they do, it is preventing them from reaching their full potential. In other words, the myths are limiting them and their social media marketing results.